To reach its full potential, the Internet of Things requires a network of sensors to record and analyze data based on decentralized logic or cloud technologies. To achieve a good room climate and energy efficiency in heating, ventilation and air conditioning plants reliable field devices such as actuators, control valves, and sensors are required. While actuators and valves control flows of air and water, sensors measure temperature, humidity, pressure, air quality or flows. They are installed in rooms, air ducts or pipes. 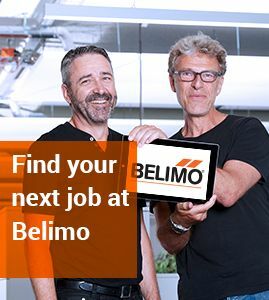 Belimo has many years of experience in developing high-quality sensors for the HVAC industry that assure the reliable recording of information and guarantee the best possible data quality. 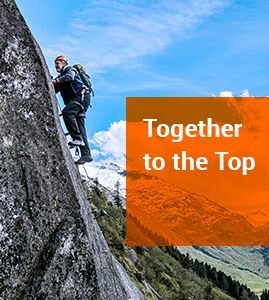 We are expanding our core business of components with integrated sensors by adding autonomous sensors that can be applied to any system design. Belimo is launching a complete product range of sensors optimally tailored to Belimo actuators and valves that can be seamlessly integrated into existing or new building automation systems. For instance the new air quality sensor measures CO2 content with two channels to compensate for possible deviations. That means greater accuracy and long-term stability. In addition, the same device also records humidity and temperature values and feeds the data into the system through just one bus interface. As a result, installation and integration costs can be reduced. Using the Belimo sizing and selection software SelectPro™ or the Retrofit app, Belimo customers can select the correct sensor quickly or determine a substitute product for an installed third-party model.